In recent years teacher leadership has undergone one major revolution and is in the process of undergoing another. The first came about as schools turned out to be far too complex for the responsibility of formulating and achieving their goals to be vested entirely in principals and head teachers. As a consequence, the rise of distributed leadership as an alternative model for understanding schools and their functioning is now commonplace. 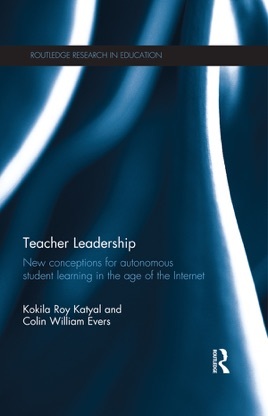 The second major revolution affecting teacher leadership is the rise of the Internet and ICT, and the way these give rise to greater and more flexible opportunities for students to become autonomous learners. Autonomous student learning now occurs in significant new ways and under parameters that are far more expansive than school-based learning. An effective model of teacher leadership thus needs to capture these changes in order to reflect the new realities of student learning and student engagement with their schools.